grafton41 has no other items for sale. 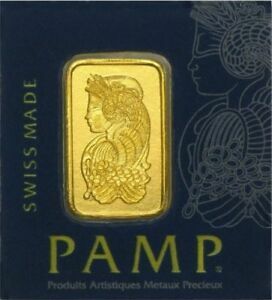 5 gram Gold Bar - PAMP Suisse - Fortuna - Pure 9999 Fine Factory Sealed Assay! 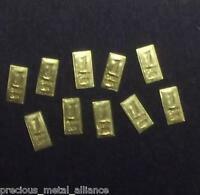 2 GRAM GOLD BAR 24K TGR BULLION 999.9 FINE NORTH AMERICAN ASSAY LTD QUANTITIES ! US $0.50 postage for each additional eligible item you buy from grafton41. Will ship within one business day of payment. Combined shipping is available orders are sent with tracked shipping. New things happening here, so do check back to see what we're up to. Thank you for your interest. To me this is Lady Future. She represents the golden high light of life. She's made in a most beautiful way, with class and soficated elegance. She's blinded to her own beauty. Great way to buy gold on a budget! 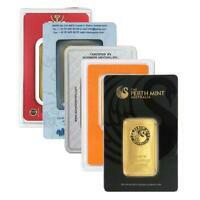 Nice easy way to buy gold at an inexpensive price. The Pamp Suisse name and the tamper-proof assay card make resale a snap if you need to sell your product. it's a little more expensive overall to buy small quantities than an ounce at a time, but a lot easier to cough up ~$55 than ~$1,200 at a time. Very happy with my purchases. APMEX sent Bar enclosed in a peeling assay. Quality control poor.